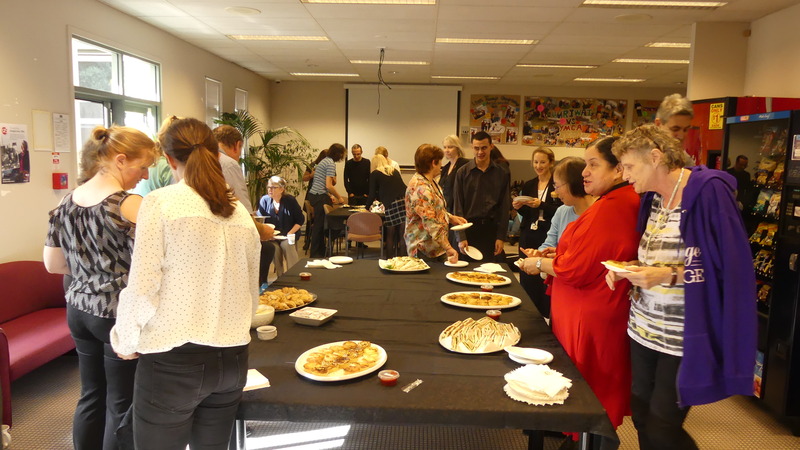 Farewell to our colleague Neil Jarvis! 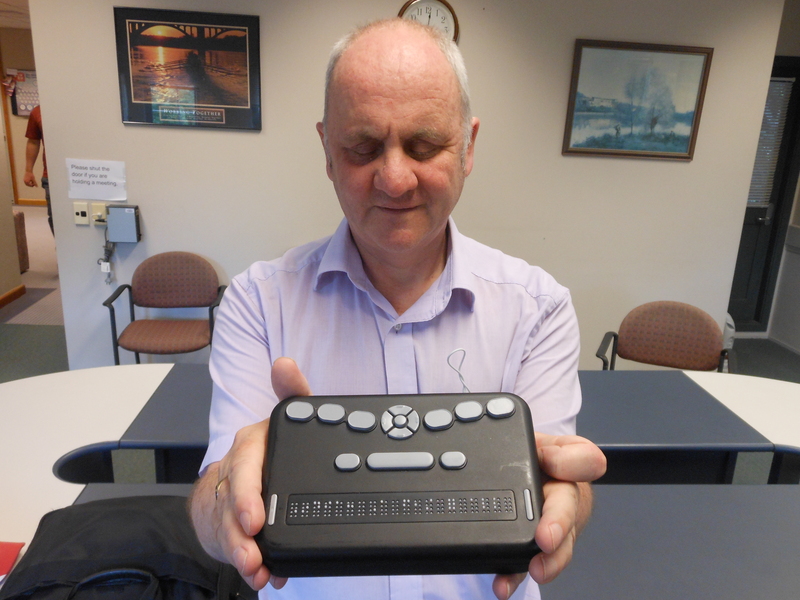 One of the project that Neil Jarvis has been involved in was bringing to market the first ever low-cost electronic Braille device. 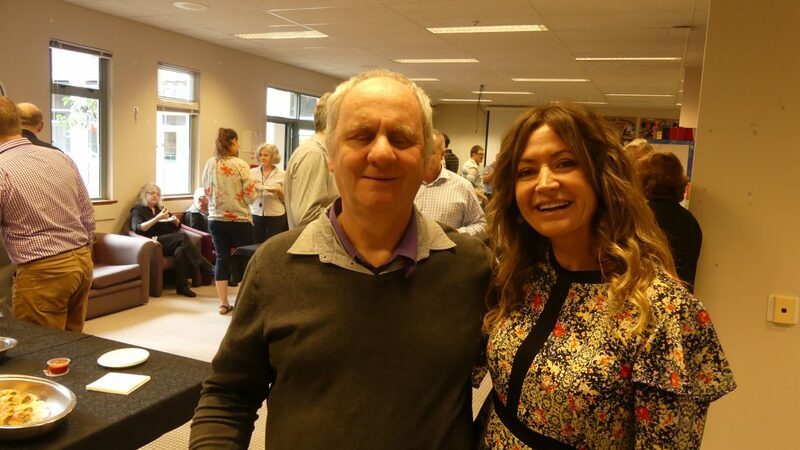 After 14 years at the Blind Foundation, we say goodbye to General Manager of Strategic Relations Neil Jarvis. His contribution to our community has been immense and has changed the lives of people who are blind or have low vision for the better. 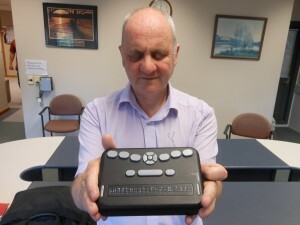 The transforming Braille project which brought to market the first ever low-cost electronic braille device that is a faction of the cost of traditional devices and changed the face of the market forever. Campaigning for the ratification of the Marrakesh Treaty in NZ and the Asia Pacific region. This has resulted in more than 10 countries in the region ratifying the treaty with New Zealand expected to follow suit before the end of the year. Staff members gathered at Awhina House in Auckland to say goodbye and wish Neil well, organised by Marjorie Hawkings who worked closely with Neil. Neil’s farewell at Awhina House. “It has been my privilege to work with Neil over the past eleven years and I am extremely proud of what he has achieved for us in that time. “Neil describes his decision to resign as having been a difficult one to make and it is entirely due to personal circumstances. I have absolutely appreciated and respected his decision but he will be an enormous loss to the Blind Foundation and our leadership team. He has brought wisdom, experience along with the lived experience, tenacious challenging when necessary, humanity, humility and a wicked sense of humour to the team. “Thank you for joining me on this journey, for providing belief and practical advice when it was needed and for always reminding us who we are here for – our clients.